"Trying Burley Flake" = buying a pound. Thanks, Tom. It is de rigueur around here, one day I'll ante up to the five pound samples. 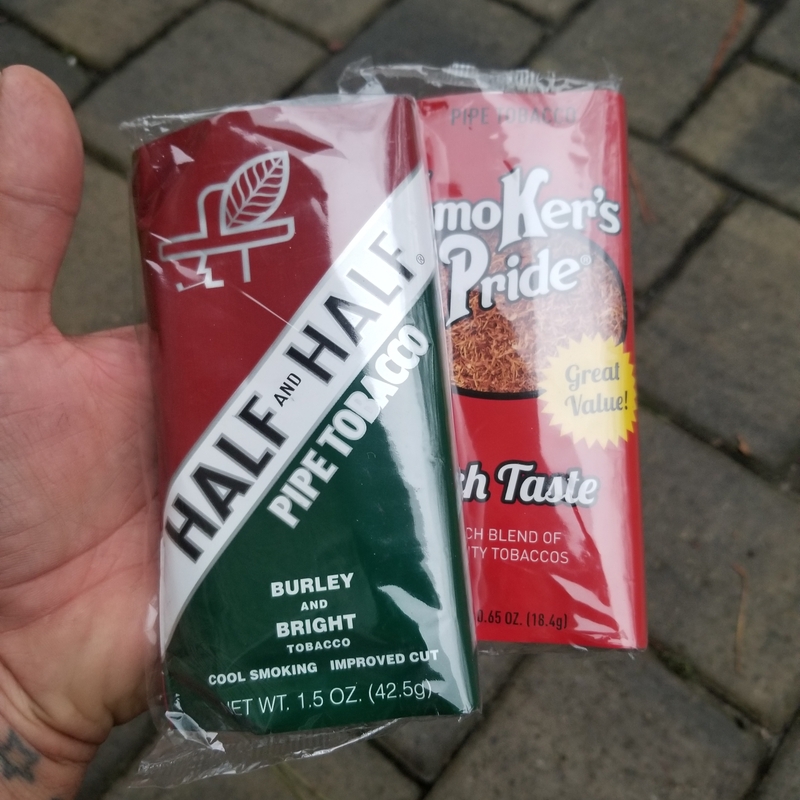 That Half & Half is great tasting stuff, but it's one of the few tobaccos that bite me every time. I still light it up once in awhile. I haven't smoked this stuff in years and it reminds me of my dad, he used to smoke it. I get no bite. They need to put nicotine in it though. bummer, and it says right on the bottom of the pouch, "COOL SMOKING"
Yep, light on Vit N which is why I figured it for a good daily. I've tried different pipes and smoking methods, didn't matter much. The 1st bowl, not so much bite. 2nd bowl let me know I'd been bit. I'd grab a drink and 3rd bowl would put me out of pipe-smoking commission for the day. 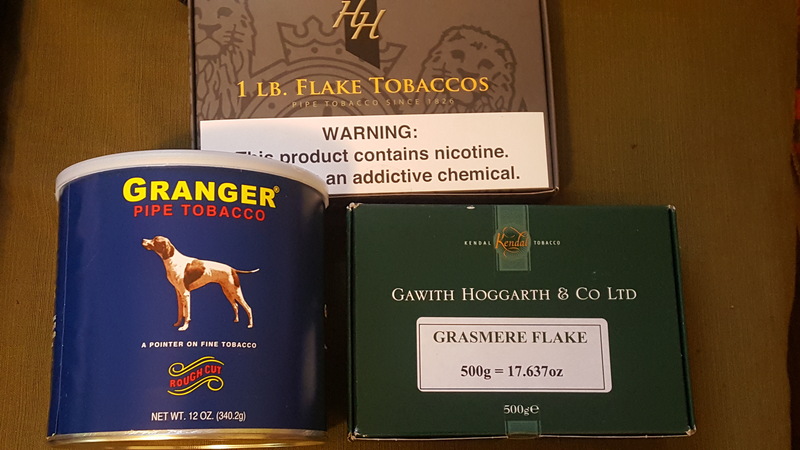 I can smoke Carter Hall (or Prince Albert) all day long without bite. But I really like the coconutty flavor of H&H so it kinda bums me out. For me once a blend starts biting I stop smoking it, drinking something will only make it worse, it's like salting a wound especially drinks that are carbonated or acidic like coffee. But I really like the coconutty flavor of H&H so it kinda bums me out. You've tried Burley Light Without Bite? Different but has a coconut note to me and it allegedly is without bite. A little, or a lot, of Perique is great with it, makes it like chocolate. Also very little nicotine, wish there were more.